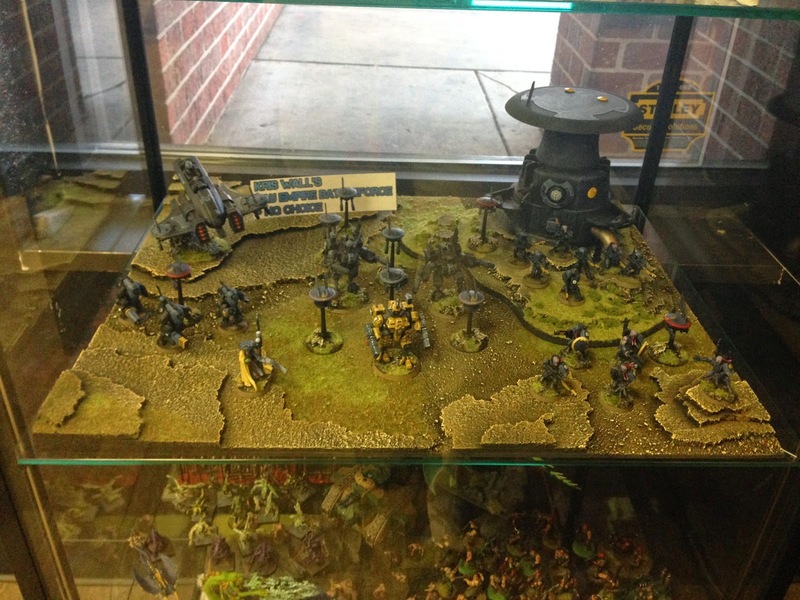 Kris Wall Minis: Tau Battleforce Display Board... on Display! 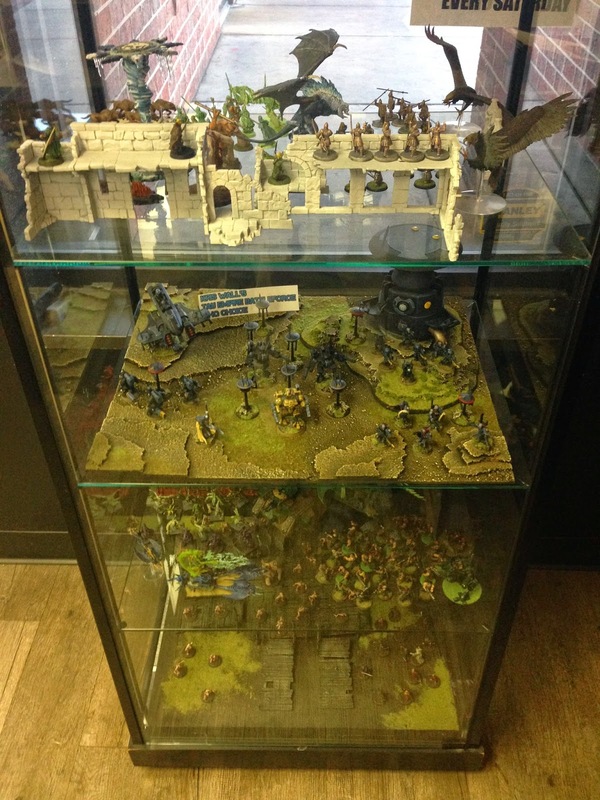 I brought the Battleforce Display Board I've been working on down to my local GW store and had a shelf in the display case cleared off for me. I'm pretty happy with how it turned out. I also picked up the preorder of my Astra Militarum Codex and a Leman Russ, so expect to see some IG/AM goodness in the near future.